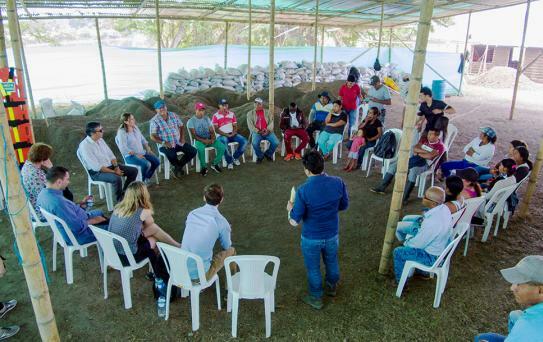 PASO Colombia builds collaboration networks among peasant communities, ex-combatants, public, private and international organizations, that promote peace and sustainable development in the rural territories most affected by organized violence. 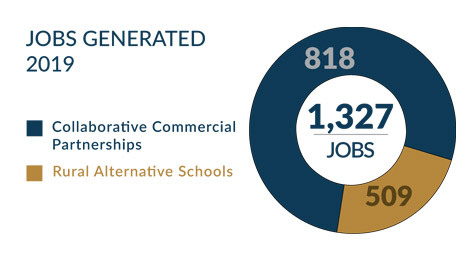 Our two main collaboration models are the Rural Alternative Schools (ERAs) and Collaborative Commercial Partnerships (CCPs). 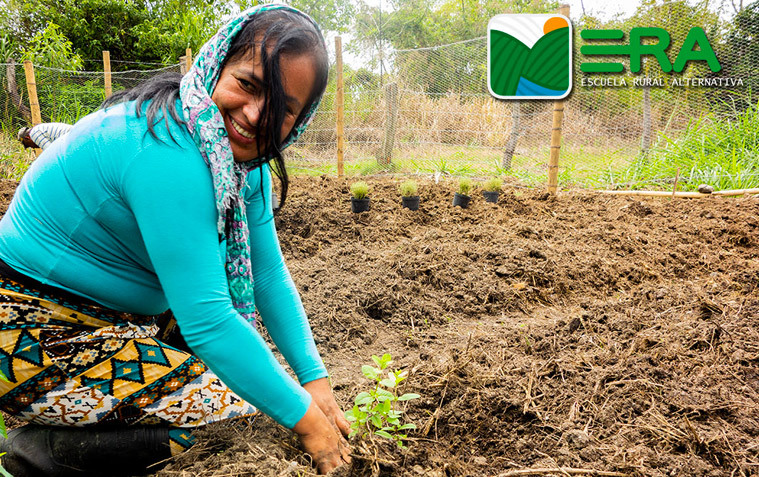 In the Rural Agricultural Schools (ERAs for their English acronym) persons who were affected by the armed conflict develop work and personal skills to implement productive projects, generate income for themselves and achieve food sovereignty in their communities. PASO Colombia works to build mutually beneficial partnerships among rural communities, ex-combatants, private companies, and public and international organizations. After several months of exploration, consultation, and planning, PASO Colombia has launched a new Rural Alternative School in Guapi, Cauca. This marks the 11th territory in Colombia where PASO has worked to establish the ERA model. As part of its national expansion plan, PASO Colombia has opened the position of Deputy Director. The role’s main responsibility will be managing and directing the day-to-day operations of PASO’s Rural Alternative Schools project. In the last quarter of 2018, PASO Colombia developed three new Rural Alternative Schools (ERAs) in the border region with Venezuela, closing the year with nine of these schools fully established and another school currently in the development process. The National Learning Service (SENA), the public institution that has been in charge of providing technical training to workers in Colombia since 1957, has become a new partner in the Rural Alternative Schools (ERA). 20,000 chili pepper plants with a production potential of 55,000 pounds valued at $21,400 have been sown at the Rural Alternative School (ERA) in Miranda, Cauca. Director of PASO Colombia participated in the 2018 Concordia Americas Summit to advise the newly elected government in innovative financing for social impact. Activities in the new ERAs of Dabeiba, Mutatá and Ituango in Antioquia began with a practical series of workshops about identification of productive soils and ecological subsystems.